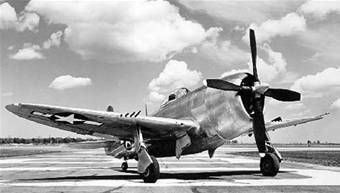 On February 9, 1943, a P-47 fighter plane was taking off from Westover Field in Chicopee, Massachusetts, when the plane went out of control and struck three men on a snow removal detail. Two men were killed, the third was injured. The pilot of the aircraft was not hurt. Pvt. Jacob Adelsky, 22, of Brooklyn, New York. He’s buried at Beth David Cemetery in Elmont, N.Y. To see a photo of Pvt. Adelsky, go to www.findagrave.com, Memorial #26119296. Pvt. Dewey A. O’Neal, 44, of Blytheville, Arkansas. He’s buried in Maple Grove Cemetery in Blytheville. The injured man was not identified. Source: The Springfield Union, “Two Soldiers Killed, One Injured By Plane Taking Off At Westover Field”, February 10, 1943, page 1.